Are your kitchen cabinets beginning to look dated? Are they boring, builder-grade cabinets? Do they make your kitchen feel closed in? If you answered yes to any of those questions, consider a cabinet upgrade. 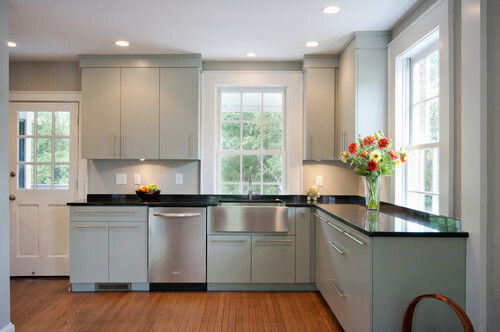 Easier and cheaper than a full-on renovation, giving your cabinets a facelift can make your kitchen feel fresh and new. Here are some simple ways to upgrade your cabinets. If your kitchen has good bones, but just looks a little tired or dated, a paint job could make all the difference. 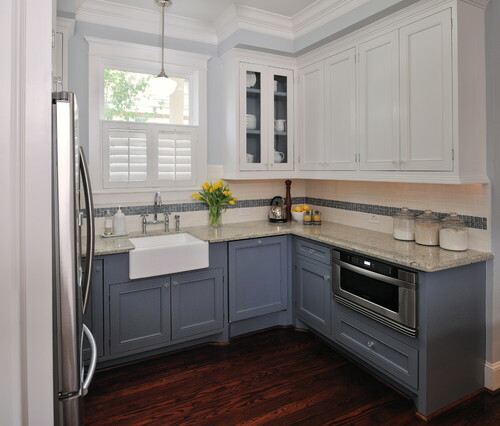 Try mixing up colors on upper and lower cabinets, or on cabinets and islands to add dimension and richness. 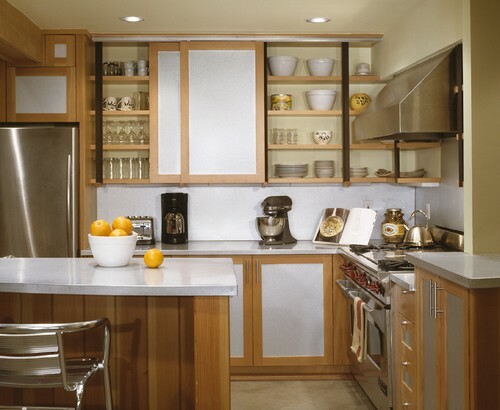 A closed off kitchen can be lightened up by removing some of the doors to create an open shelving concept. Tip: To make open shelving practical, fill those shelves with the things you use most often. If open shelving is not your thing, adding glass door inserts can also create a more open look. And there are lots of options besides plain glass: etched, colored, crackled, and fluted are some alternatives. Adding crown molding to plain builder-grade cabinets adds height (which can make the space appear larger), and is a easy way to achieve a high-end look. One of the simplest fixes for boring cabinets is swapping out the hardware. Updating your cabinet hardware can give you a fresh new look without spending thousands of dollars. Tip: If you’re switching from a two-hole pull to a one-hole knob, choose hardware with back plates that will cover the holes. 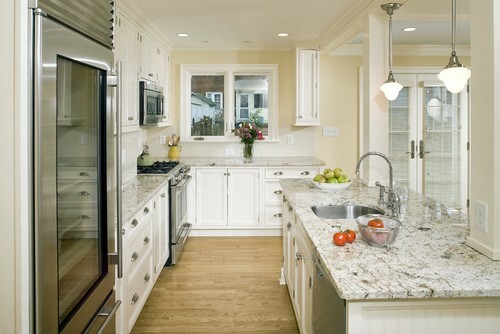 And last, but certainly not least, new countertops can take a dated-looking cabinet from drab to fab in no time. 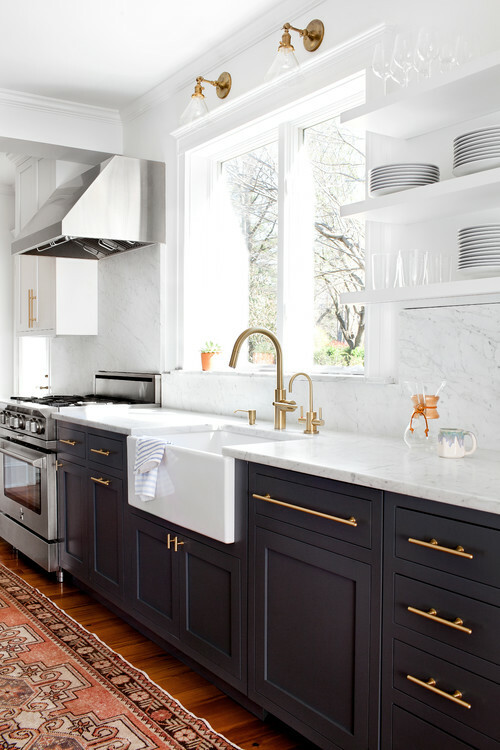 Of course, we’re partial to this solution, but especially if you are going to paint or reface your cabinets, be sure to put the icing on the cake with beautiful natural stone countertops! 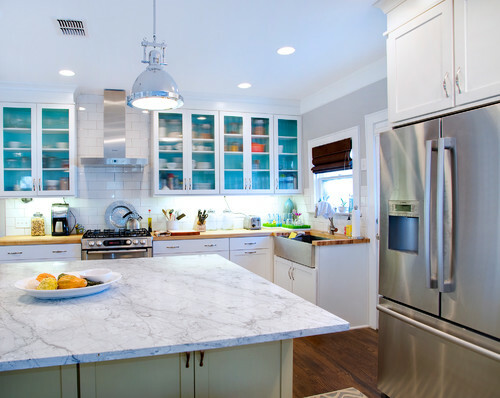 Whether you’re going for a kitchen refresh or a full-on renovation, Prestige Marble & Granite is your Middle Tennessee source for beautiful natural stone countertops. Stop by our Columbia showroom and browse our large selection of exotic, rare, and classic stones!